Product prices and availability are accurate as of 2019-04-25 02:58:30 EDT and are subject to change. Any price and availability information displayed on http://www.amazon.com/ at the time of purchase will apply to the purchase of this product. 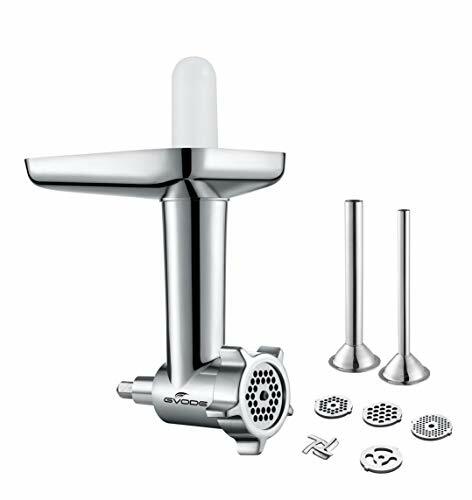 Gvode FGA turn Kitchenaid stand mixer into a versatile food grinder/sausage maker, to tackle a variety of tasks. 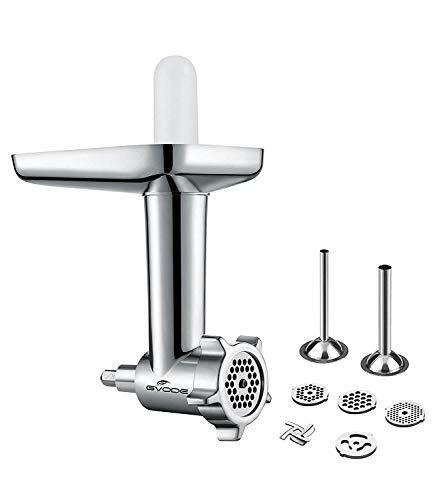 0.68 inch larger one great for boudinblanc, Italian sausage and more. 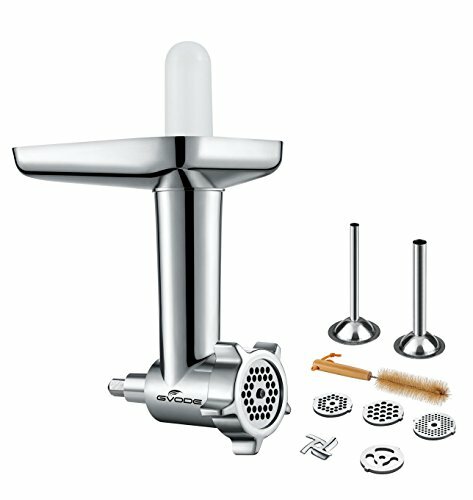 ~With other additional accessories, you can get more fun from this food grinder attachment, like pasta maker, which is sold separately. 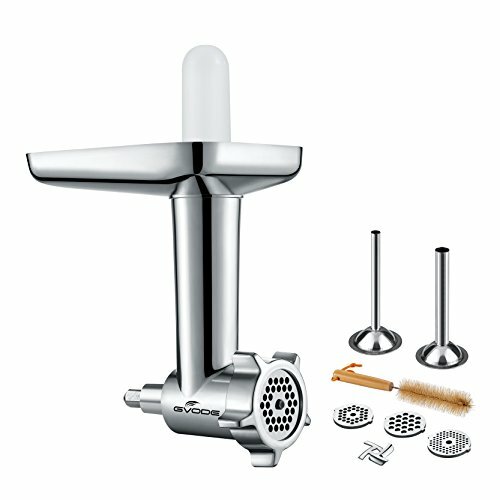 1.The following parts are made out of stainless steel and can be washed in the dishwasher if you like. should be hand wash only, can put in warm, soapy water for a few minutes for easy cleaning, then clean it by soft cleaning brush or cloth. Recommend to rinse and dry them thoroughly after wash, in order to keep them not discolor and stay in peak condition. 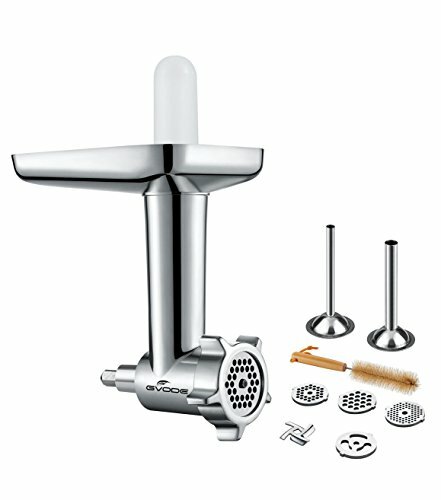 They are all food grade materials and made as per North American Standards. Specially designed for KitchenAid Stand Mixer, all household models. like some models of Cuisinart stand mixer, SM-50, SM-50BC, SM-50R.